Today is something a little different to what I usually blog about. And the topic is Tea. Yes your probably thinking, tea, what a great topic. But honestly, hear me out. I’ve always had trouble getting to sleep at night easily, and always being on the lookout for ways to help this, pillow sprays, tablets.. you name it! But I’ve never came across the idea of drinking tea until the other day, when I was looking through YouTube at some of my favourite bloggers, and in the background there was a nice cup of something, tea or coffee… anyway to cut to the point I went down to my local Tesco and found these! Standing out among the many boxes of different flavoured teas, were these two little gems. And I must say I see tea completely differently now! 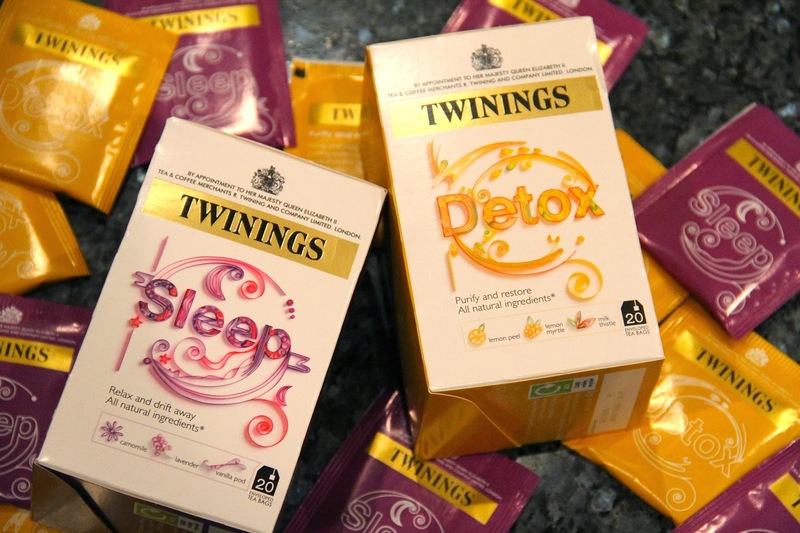 First of all is the Twining’s Detox collection. This tea contains lemon peel, lemon myrtle (whatever that is) and milk thistle. At first I thought this wasn’t going to be the most enjoyable tea on the market however I was soon shocked by the taste of it! And drinking this first thing on a morning really did make me feel fresh for the day. It was great to drink whilst getting ready and was very easy on the stomach. I’ve also being told to add honey to this to give it a sweet taste, which I can imagine to be quite enjoyable. Next was the nighttime tea. Twining’s Sleepcollection I must say this is on a totally different level. This tea was amazing. And again, you can be thinking why am I getting so hyped up about tea but this one was brilliant. Containing comomile, lavender and vanilla, this literally was one of the most enjoyable drinks I’ve ever had. And yes, it really did help with sending me to sleep. I actually added a sweetener to this to make it that little bit enjoyable, but without would have been fine. With these two boxes of 20 tea bags in each, only costing £2.49 each, I highly recommend them for a great place in your daily routine, and even just to try out a new taste. So yes, I am now tea crazy!